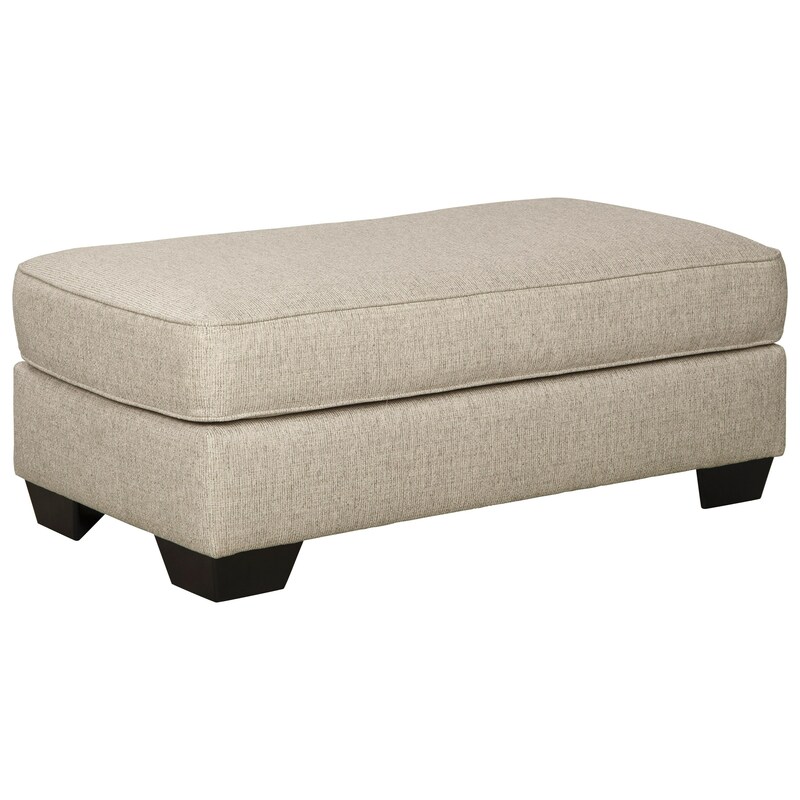 The Marciana Ottoman by Benchcraft at Virginia Furniture Market in the Rocky Mount, Roanoke, Lynchburg, Christiansburg, Blacksburg, Virginia area. Product availability may vary. Contact us for the most current availability on this product. Seat Support Smooth platform foundation maintains tight, wrinkle-free look without dips or sags that can occur over time with sinuous spring foundations. Create a sophisticated and comfortable living room space with this upholstery collection, which features thick, curved track arms and a gorgeous neutral color that will look great in a variety of settings. The Marciana collection is a great option if you are looking for furniture in the Rocky Mount, Roanoke, Lynchburg, Christiansburg, Blacksburg, Virginia area. Browse other items in the Marciana collection from Virginia Furniture Market in the Rocky Mount, Roanoke, Lynchburg, Christiansburg, Blacksburg, Virginia area.